So whether you are transferring your SpaceKap within your fleet or the time has come to replace your current pickup, you will not be limited to a particular make or model. SpaceKap has been engineered to be the most versatile service truck solution on the market. 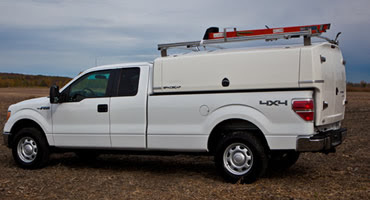 Its universal fit transforms you favorite pickup into the ultimate workshop on wheels. Organize and secure your tools and workspace by outfitting your SpaceKap with one of the Quick Ship Packages. This means you spend more time getting things done and less time searching for your tools.